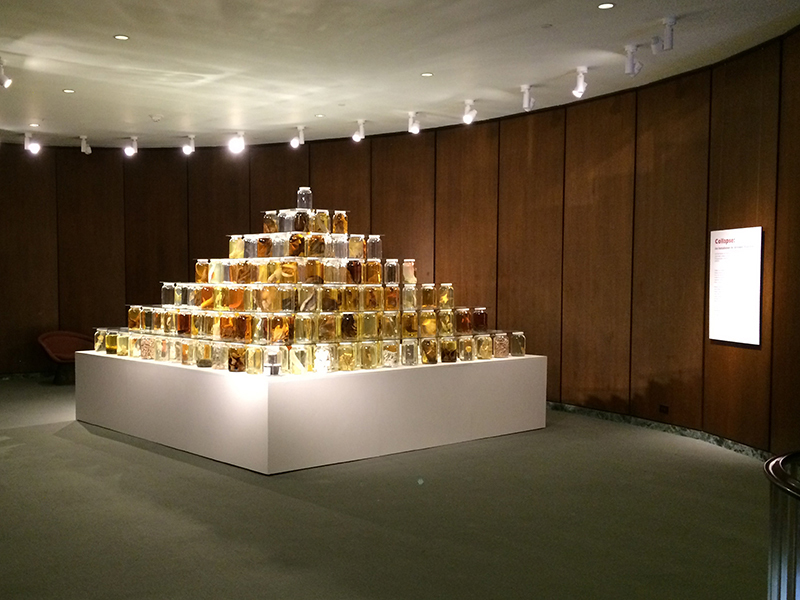 In collaboration with Todd Gardner, Jack Rudloe, Brian Schiering and Peter Warny. 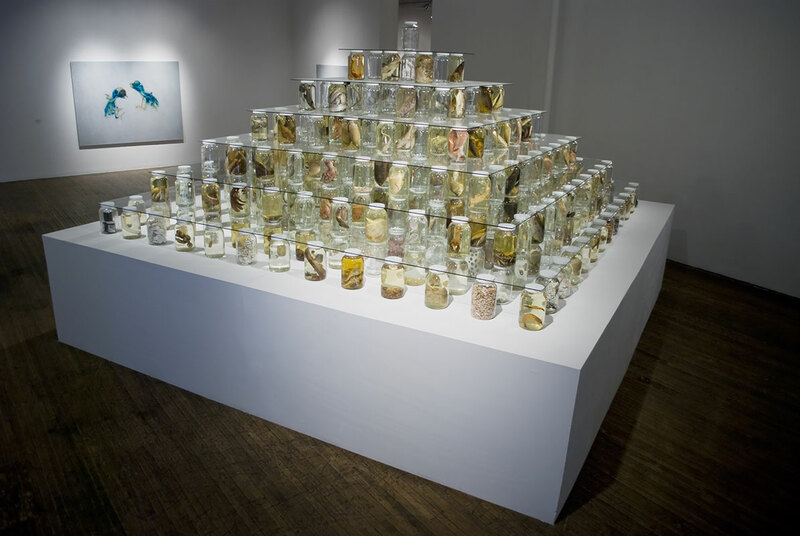 Collapse responds to the global crisis of the world’s fisheries and the current threat for the unraveling of the Gulf of Mexico’s food-chain following the 2010 BP Deep Water Horizon oil spill. 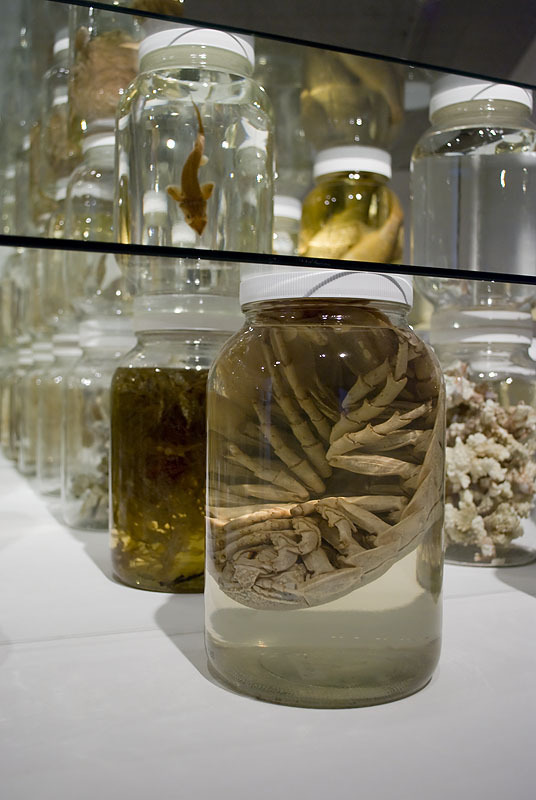 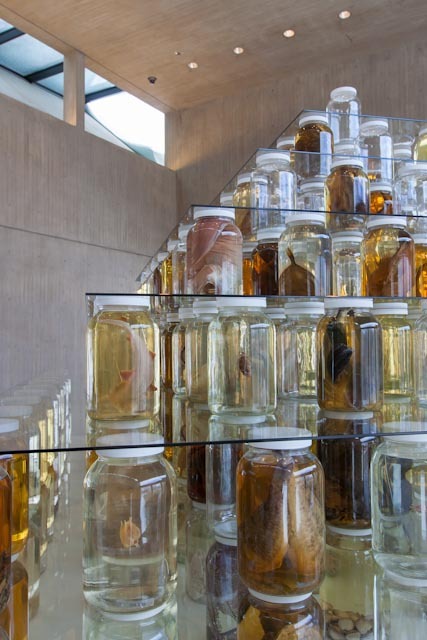 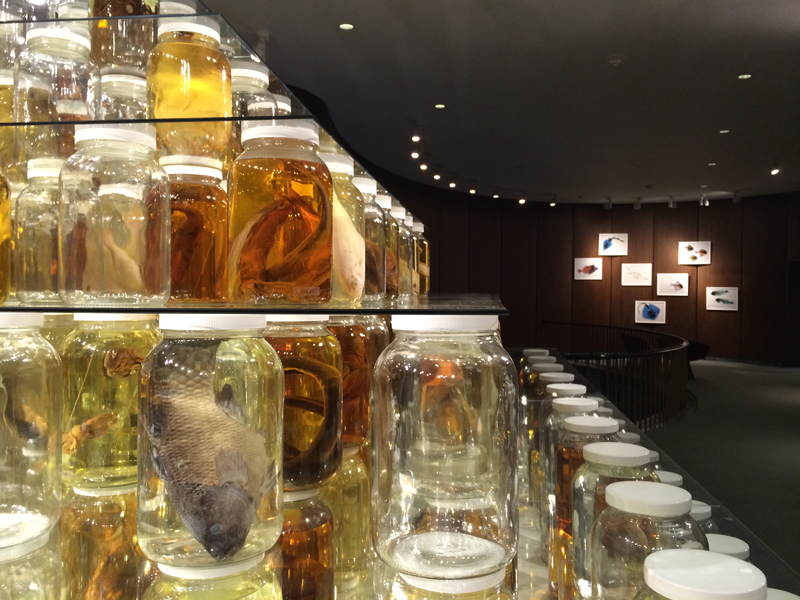 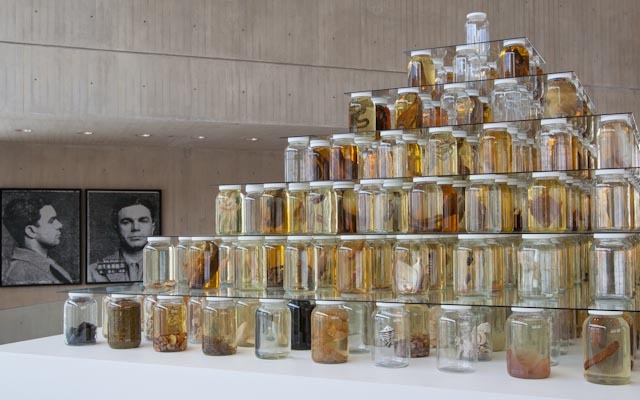 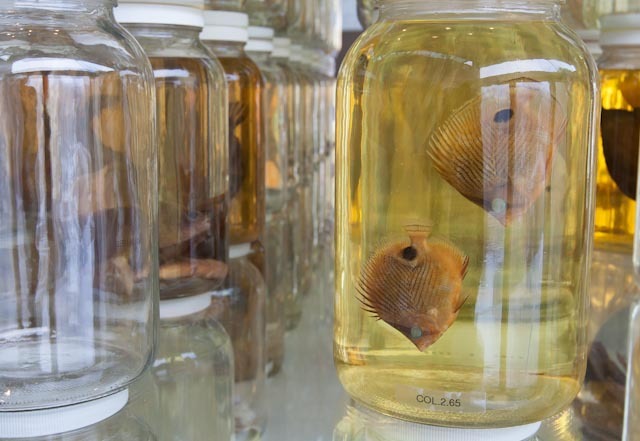 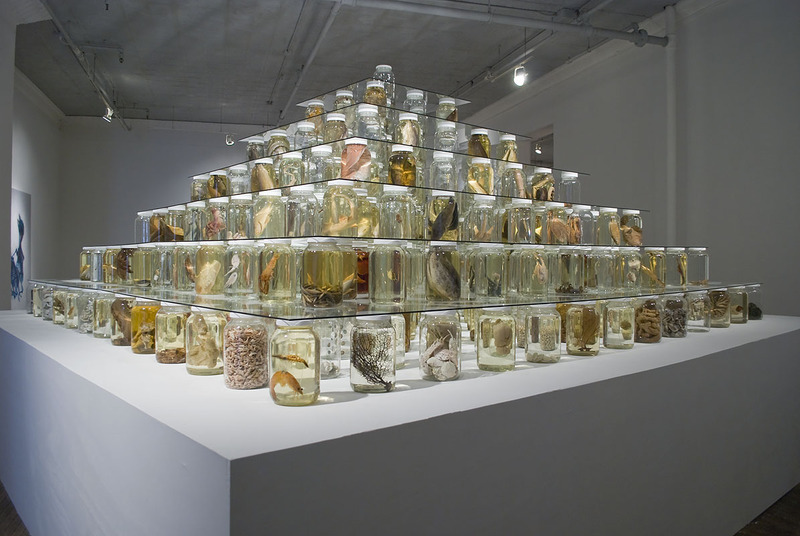 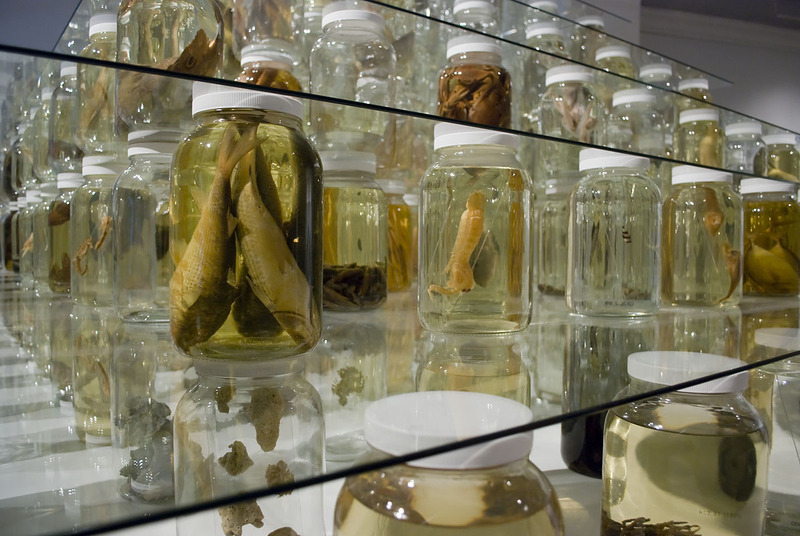 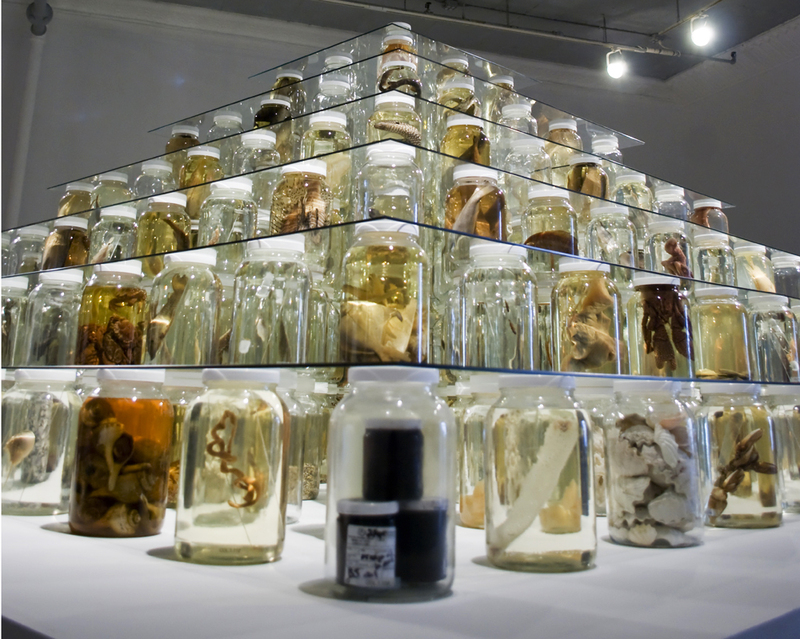 The large-scale installation created a pyramid display of 26,162 preserved specimens, which represented 370 species of fish and other aquatic organisms in gallon jars. 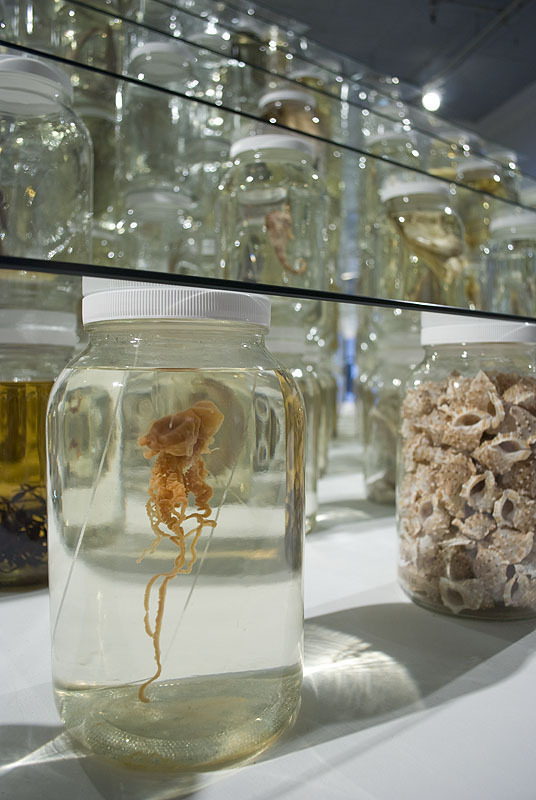 It is meant to recall the fragile inter-relationships between Gulf species. 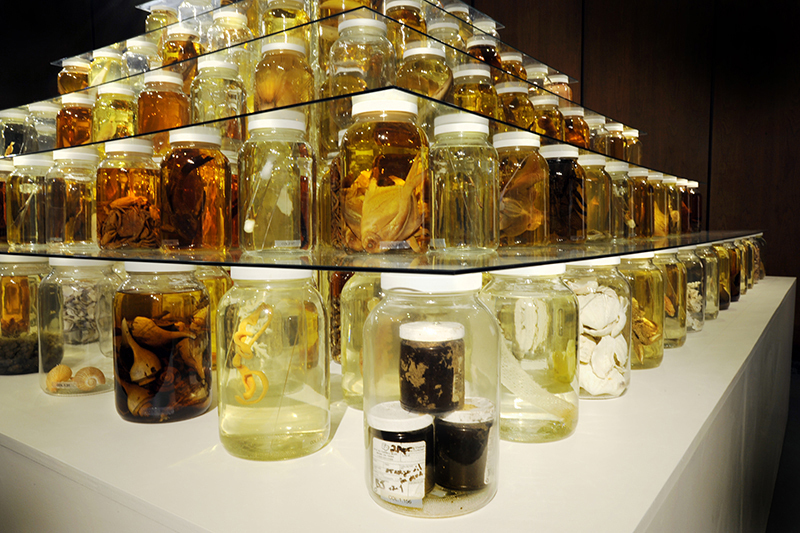 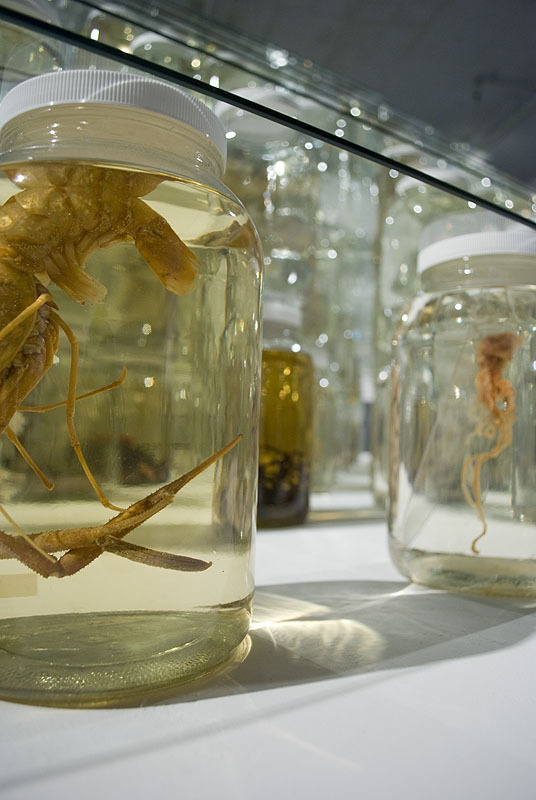 Empty containers represented species in decline or those already lost to extinction.